The official Athletic Club online shop is integrated into the www.athletic-club.eus website and is owned by Athletic Club (commercial name: Athletic Club), with registered address at Calle Alda. Mazarredo 23, 48009, Bilbao, Bizkaia, with company tax number G-48074264 and registered at the Registry of Sports Associations with number CD0000617. Tel. 94 424 81 59. By credit card: VISA, Mastercard, for amounts up to 500 euros (five hundred euros). PayPal: You can pay quickly and securely with your PayPal account or with your credit or debit card, without sharing financial information. Cash on delivery: Customers can pay for their orders when they receive the goods at their home. This payment system will only be valid in the Peninsula and the Balearic Islands for purchases up to 300 euros (three hundred euros). Not all items can be paid for by cash on delivery, with payment in advance being necessary in some cases, either by credit card or via the PayPal payment gateway. During the order process, the accepted methods of payment will be indicated, based on the characteristics of the order and the products included therein. The Club reserves the right to not allow payment by cash on delivery for customers who at some time have rejected orders purchased using the cash on delivery system without just cause. In their case, payment in advance will be required for any future orders, if there are any. Orders made by telephone (902 540 900) or via the official on-line shop can be collected at the San Mamés shop. This method does not entail delivery costs. An e-mail will be sent to the customer within a maximum of 3 working days from receipt of the order, confirming that the order is ready for collection from the San Mamés shop, or advising them of a possible incident. To collect the order, the buyer must present their national ID card and the e-mail confirming that the order is ready at the San Mamés shop. Another person can collect the order provided that the buyer has indicated so in the order. To collect the order, the person authorised must present their national ID card and the e-mail confirming that the order is ready at the San Mamés shop. The order will be at the official San Mamés shop for 7 calendar days from the date of sending the e-mail confirming that the order is “ready at the shop”. Once this time has passed, it will be deemed to have been cancelled. The e-mail confirming that an order has been successfully completed does not mean confirmation of availability of the products that make up the order, leaving all purchases subject to the availability of stock. If a product is not in stock, the customer will be informed by e-mail within a maximum period of 30 calendar days. If there is no answer to that e-mail within 3 working days, the order will be deemed to have been cancelled. If a purchase is pending payment (cash on delivery), the order will be deemed to have been cancelled, unless otherwise specified by the customer. If an order was paid in advance (payment by credit card), the corresponding amount shall be paid in a period not exceeding 14 calendar days, unless otherwise specified by the customer. Refunds shall be made in the same way that the payment was made. 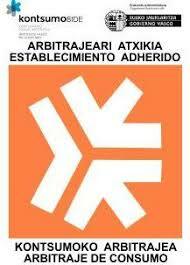 The Athletic Club online shop, like the rest of its official shops (physical shops), are affiliated to the Basque Government arbitration system. The client has the right to withdraw from the agreement within 14 calendar days without giving any reason. The withdrawal period shall expire 14 calendar days after the date on which the customer or third party indicated by them takes material possession of the goods. To exercise the right of withdrawal, the customer must notify us (Athletic Club, Tienda de San Mamés, Paseo Rafael Moreno “Pitxitxi”, entre puertas 0 -26, 48013, Bilbao. Tel. 94 424 81 59. E-mail: comercial@athletic-club.eus) of their decision to withdraw from the agreement by means of an unequivocal statement (e.g. a letter sent by post or to the e-mail indicated). The customer can use this model withdrawal form, although its use is not compulsory, and it must include a bank account number to which we can make a transfer to them. To adhere to the withdrawal period, it is sufficient for the customer to send a communication relating to them exercising the right of withdrawal before the withdrawal period has expired. If the customer withdraws from the agreement, we shall reimburse all payments received from them, including the costs of delivery (with the exception of additional costs resulting from their choice of a type of delivery other than the least expensive type of standard delivery offered by us), without undue delay and, in any event, not later than 14 calendar days from the date on which we are informed about their decision to withdraw from this agreement. If payment was made by bank transfer or cash on delivery, the money will be repaid to the customer by bank transfer to the account number that they provide us with. If payment was made by credit card or PayPal, the money will be repaid in the same way. We may retain the refund until we have received the goods, or until the customer has submitted a proof of the return of the goods, depending on which condition is met first. In any event, the customer will not incur any costs as a result of repayment. The package must indicate the order number and must also specify that this is a return. The customer must return the goods without any undue delay and, in any event, no later than within 14 calendar days of the date on which they communicate their decision to withdraw from the agreement. The term shall be deemed to have been fulfilled if the customer returns the goods before this period has expired. If the goods are sent by post, it is advisable to send it by registered post and/or with acknowledgement of receipt, because without these specifications they do not arrive at their destination and must be collected at their offices. In any event, the sender will be responsible for delivery and any possible incidents. The customers will have to bear the direct cost of returning the goods. Any product that the customer wishes to return must always be made with the original packaging and labels intact, properly packaged in its original box and properly protected. The item to be returned must be in the same condition in which it was received, which will be determined by our experts. The consumer shall be liable for any diminished value of the goods resulting from the handling of the goods other than what is necessary to establish the nature, characteristics and operation of the goods. No return will be accepted of: screen-printed or personalised items, items such as: sealed sound or video recordings, software, electronic games or sealed books that have been unsealed by the customer after delivery, sealed articles of underwear and swimwear and articles that have been unsealed after delivery, and products that require some modification for their sale. The maximum term for requesting an exchange is 14 calendar days from receipt of the order by the customer. To begin the exchange process, the customer must send an e-mail to comercial@athletic-club.eus or call us on the phone number of our commercial department (94 424 81 59) indicating the article that they want to exchange and the one for which they want to exchange it (make, model, size, colour, etc.). Only packages received at the address indicated will be exchanged. Packages can be sent either by post or by a transport agency. If the package is sent by post, it is advisable to send it by registered post and/or with acknowledgement of receipt, because without these specifications they do not arrive at their destination and must be collected at their offices. In any event, the sender will be responsible for delivery and any possible incidents. The package must indicate the order number and must also specify the exchange requested. On receiving the package, we will confirm that the product is in good condition and ship the new product within the 7 working days following its receipt. In the case of changes in size of the same product and model, the customer will be responsible for the delivery charges of the product to the address of the Athletic Club warehouse but not for the subsequent delivery of the first exchange, which will be carried out free of charge, unless shipping costs exceed € 10.00. In this case, the customer will be responsible for the delivery charges of the first exchange. For the second and subsequent exchanges of the same order, the customer will be responsible for both delivery charges. These conditions shall not apply in the case of products purchased under a promotion, in which case the customer will be responsible for both delivery charges. Any product that the customer wishes to exchange must always be made with the original packaging and labels intact, properly packaged in its original box and properly protected. The item to be exchanged must be in the same condition in which it was received, which will be determined by our experts. No exchange will be accepted for screen-printed or personalised items, items that can be copied (such as CDs, electronic games, books…), underwear and swimwear and those products that require some modification for their sale. Customers who made the purchase through the website or by calling the 902 number and received the order at their home, can, if they so wish, exchange the items in one of the official shops. To do this, they must send an e-mail to comercial@athletic-club.eus, indicating the order number and the shop where they would like to make the exchange. No exchanges will be made at any shops unless this step is taken first. Athletic Club will deliver the products in the shortest time possible, without any undue delay and, at the latest, within thirty calendar days from receipt of the order. If the order was returned to origin because the transport company was unable to deliver the goods to the recipient (due to their negligence), our company will be responsible for the costs of the first resending. If the transport company operated properly, Athletic Club will not be responsible for the costs of resending. If the return or exchange is due to an error on our part regarding the delivery, Athletic Club will send a courier at your service to collect the package at a place (the same location where the packet was received, which the client must specify via e-mail to comercial@athletic-club.eus or by calling the phone number of our commercial department 94 424 81 59). Athletic Club will be responsible for all expenses incurred for returning and subsequently delivering the correct order in the case of exchange. On receiving the package, we will confirm that the product is in good condition and that the negligence really was on our part and ship the new product in the case of an exchange and return the money in the event of a refund within the 15 working days following its receipt in our warehouse. Refund monies will be paid to the customer via bank transfer to their bank account number. Transport will not be charged for orders over 99 euros (only on orders shipped to the Peninsula and the Balearic Islands). Orders for Ceuta, Melilla, the Canary Islands and countries not belonging to the European Union may be subject to customs charges and other taxes over which Athletic Club has no control and for which Athletic Club is not responsible in any event. This payment will always be the responsibility of the recipient of the goods or the purchaser. Before making your purchase, we recommend that you consult your local customs office for more detailed information on the matter. If a wrong or defective product is sent to any of these destinations, the club reserves the right to resolve this incident through the payment of this article, not being obliged to resend it. For deliveries over 1.5 kg, an e-mail will be sent to the recipient to indicate possible changes in transportations costs. Rates are subject to change depending on the change in the price of fuel. In this case, they will be communicated via e-mail. It is important to correctly fill out all details of the recipient to avoid errors that may lead to the return or incorrect delivery of the shipment. The transport company requires a signature upon delivery of the goods, so it is important to put an address where someone can receive the delivery. Exchanges are not supported for international deliveries. If Athletic Club sends the wrong product or a defective product, in a delivery of several products, the incident will be resolved by paying the amount of this product. For deliveries of only one product, the customer will send the product in question by registered post, which the club will pay, to exchange the product. International deliveries, if made to colonies, will be billed by destination zone and not by country. From Monday to Saturday from 10:00 am to 1:30 pm and from 4:30 to 7:30 pm. Match days at San Mamés, from 10:00 am to 1:30 pm. Call connection charge: € 0.13, charge per minute € 0.19 for calls from a landline and € 0.27 for calls from a mobile, depending on your contract, time zone and phone company. VAT not included. All products purchased in the Athletic Club shop are guaranteed against defects. If you receive defective goods, their return will always be allowed by following the procedure mentioned in Returns and Exchanges, provided that this circumstance is communicated within the time limit indicated. If you have any claims, complaints or suggestions about our online shop or any product delivered, please contact us via e-mail at the e-mail account comercial@athletic-club.eus or by telephone (94 424 81 59).